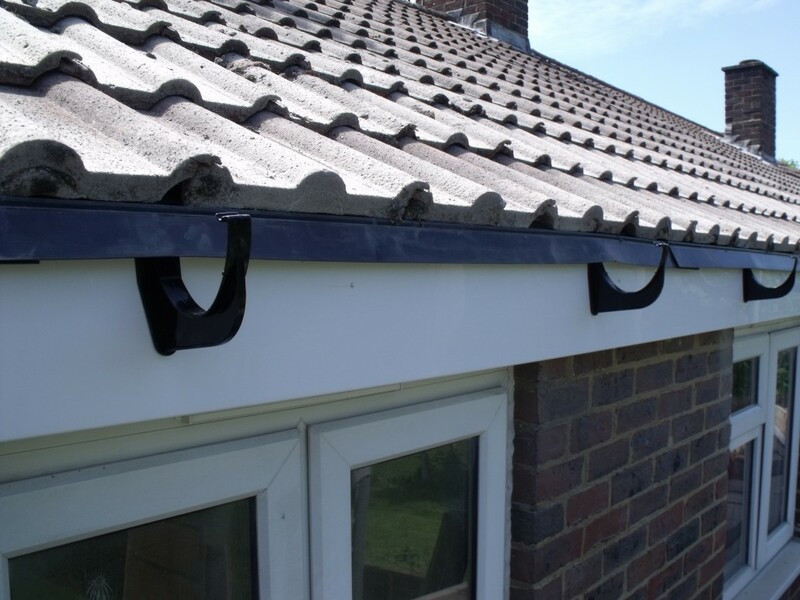 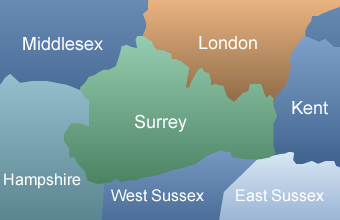 The Homefront Roofline Ltd of Surrey, specialists in Finlock concrete gutters. 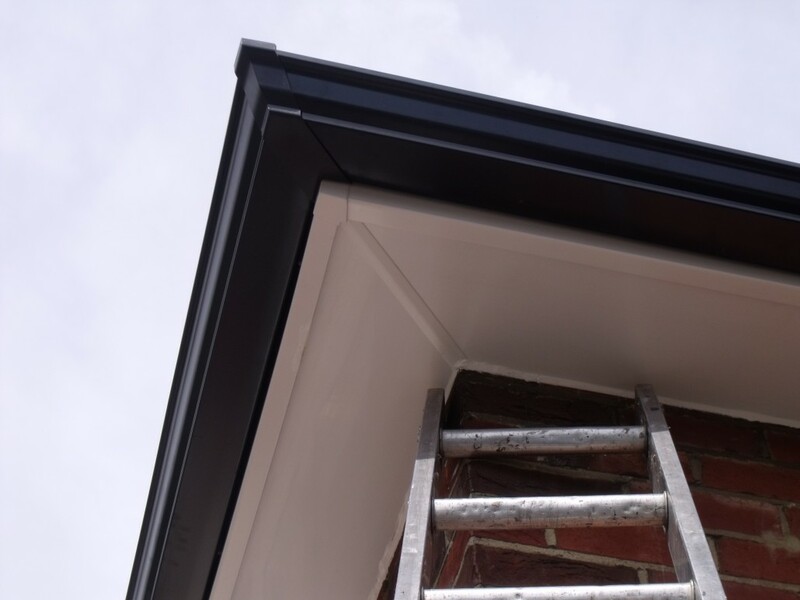 Why Replace your Finlock Concrete Gutters? 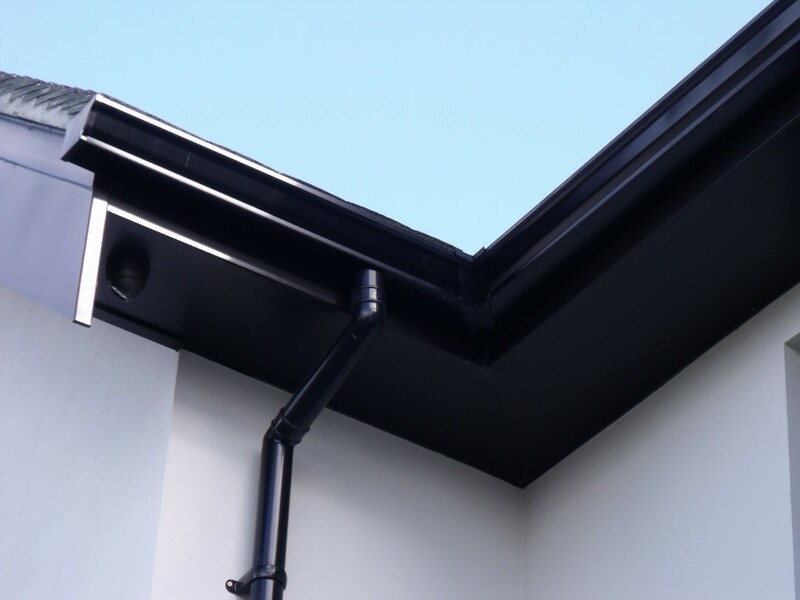 Concrete Gutters (or Finlock Gutters as they are commonly known) are notorious for leaking and making houses damp and causing condensation. 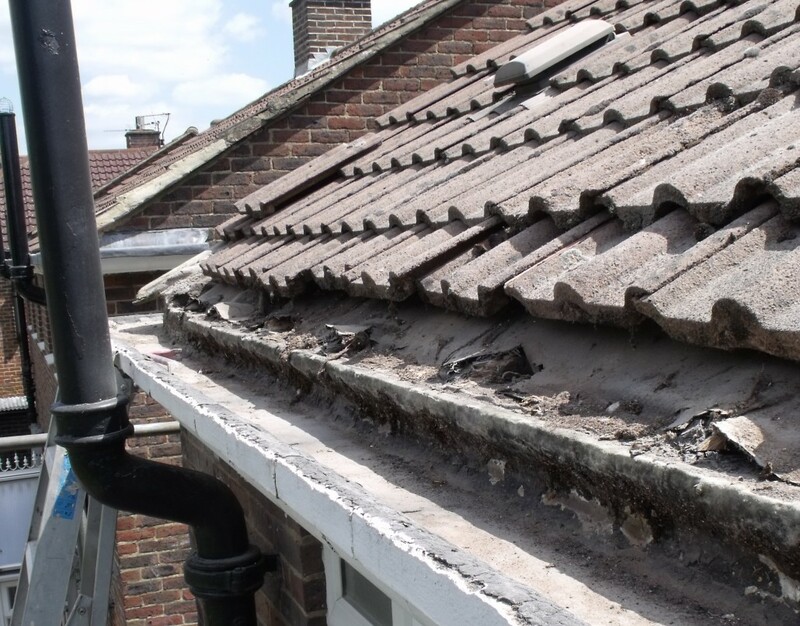 The main reasons for this are due to a breakdown in the grout that joins the sections together and something known as the “cold bridging issue” which is where cold and damp is pass into the home via the concrete sections that span the wall cavity. 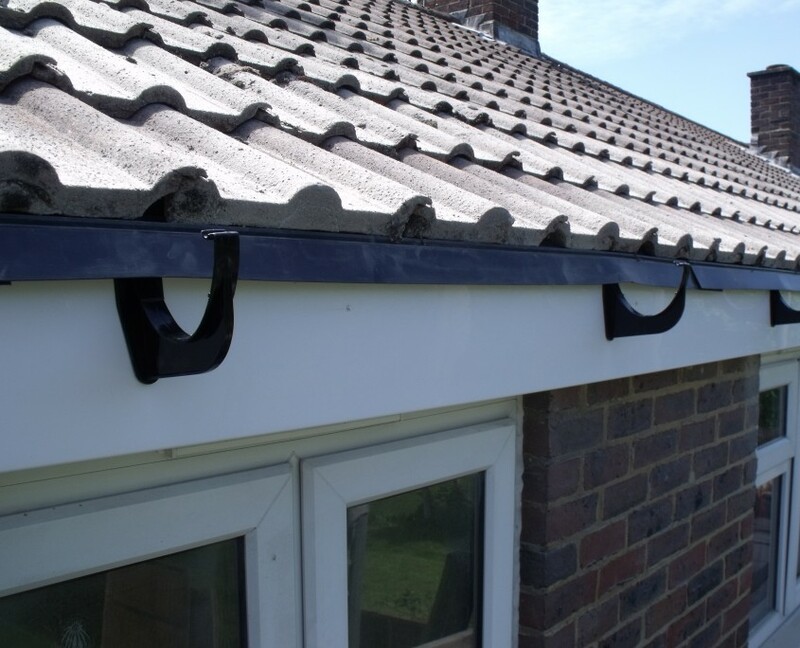 Here is our 10-step process for the removal and replacement of Finlock Concrete Gutters. The process begins with a meeting with our surveyor. 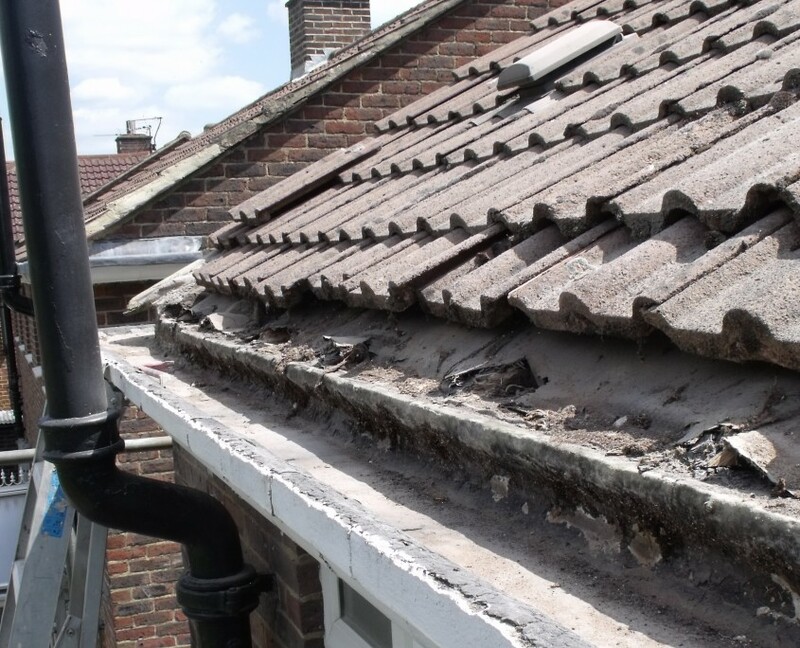 Our surveyor will inspect your roof and find out if your gutters are truly the root cause of any problems that you might experience. 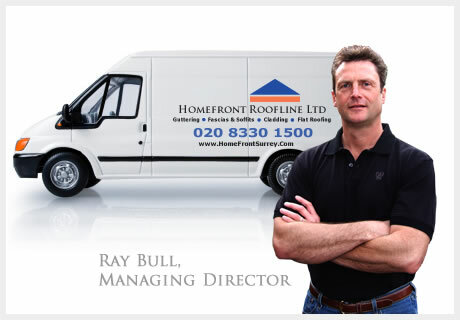 He will then provide you with a brief report stating what he believes the problem is, and a recommend course of action. 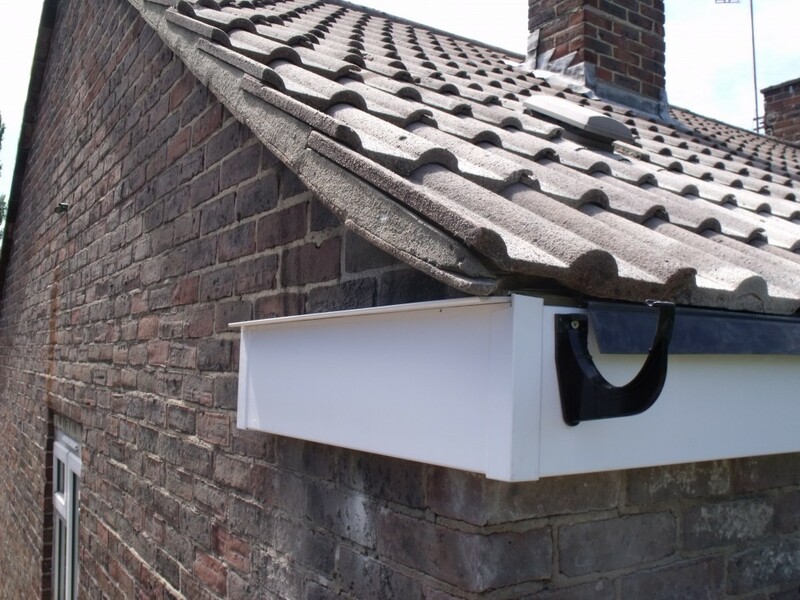 This is completely free of charge and without obligation. 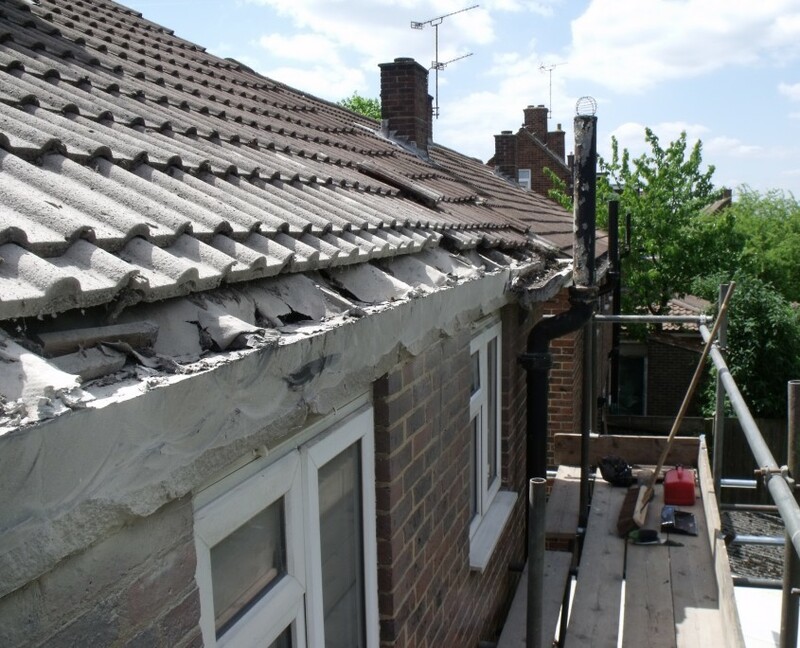 If you decide to replace your gutters, we will start by erecting a scaffolding to give us safe access to your roof. 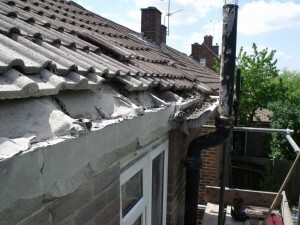 We will then remove the bottom few courses of roof tiles and clear any debris from your gutters. 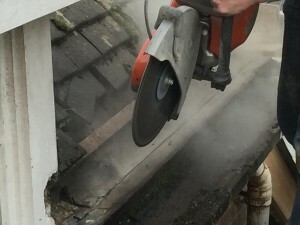 We will then use special cutters to remove the front section of your concrete gutters. This will result in a solid capstone that will be flush with your brickwork. 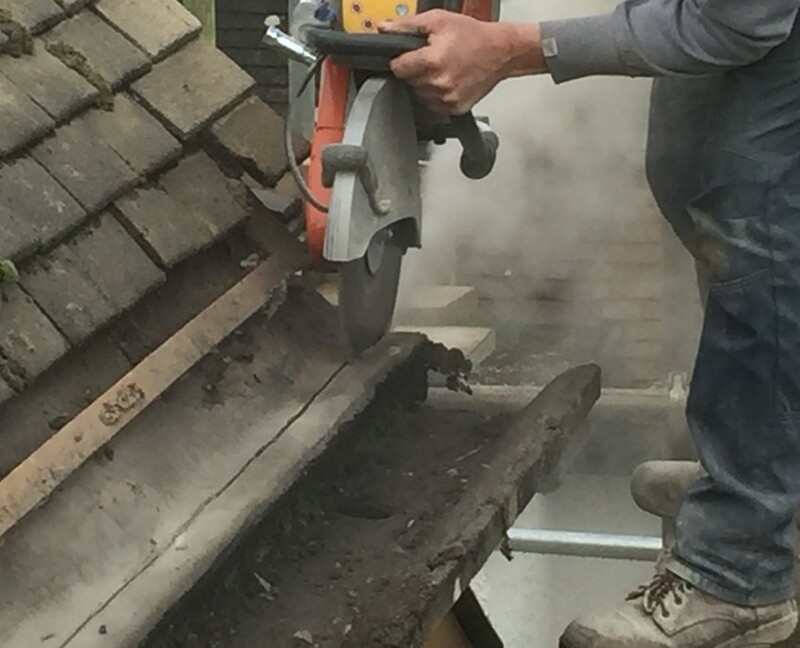 Next we will install a timber wall plate. 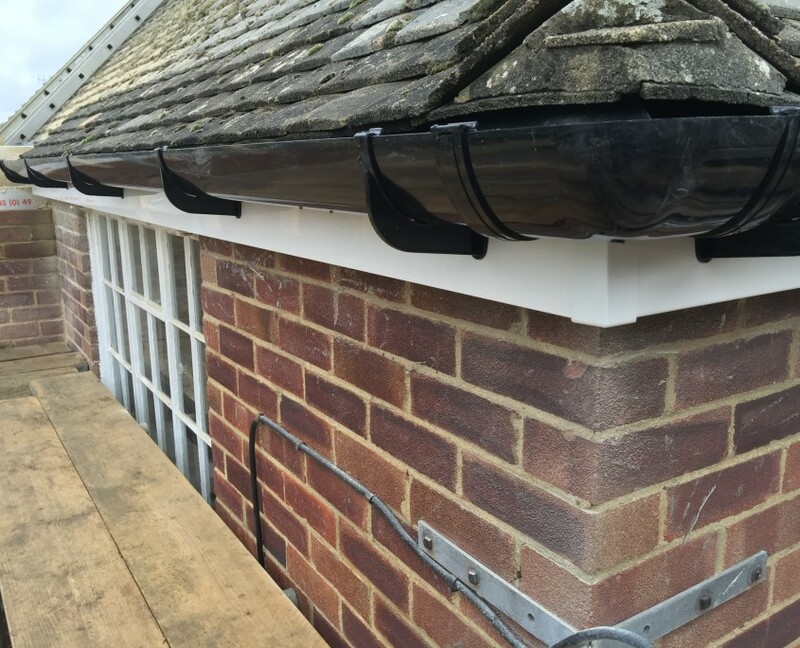 This is drilled, plugged and screwed into the capstone so that it forms a solid base to install the new roofline products. This also provides insulation which helps with the “cold bridging issue” (see above). 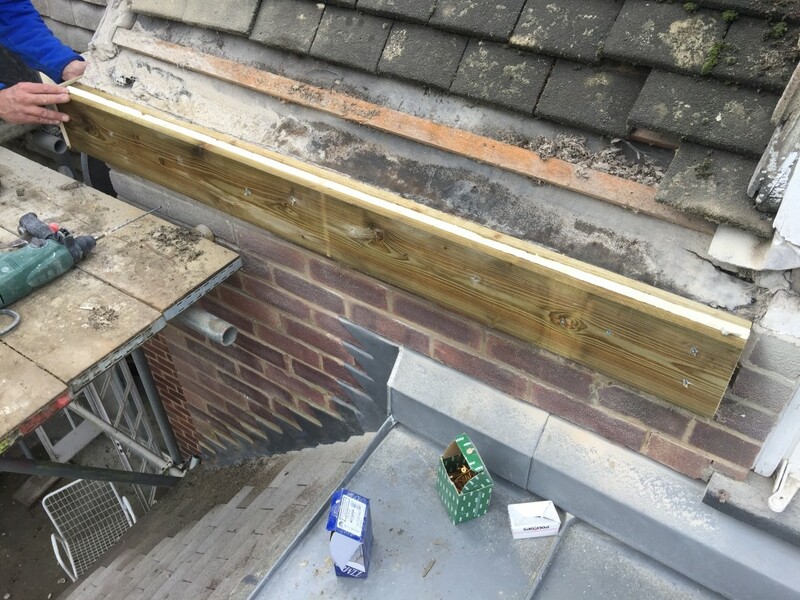 25mm polystyrene insulation board is fixed into timber wall plate to further improve the “cold bridging issue”. 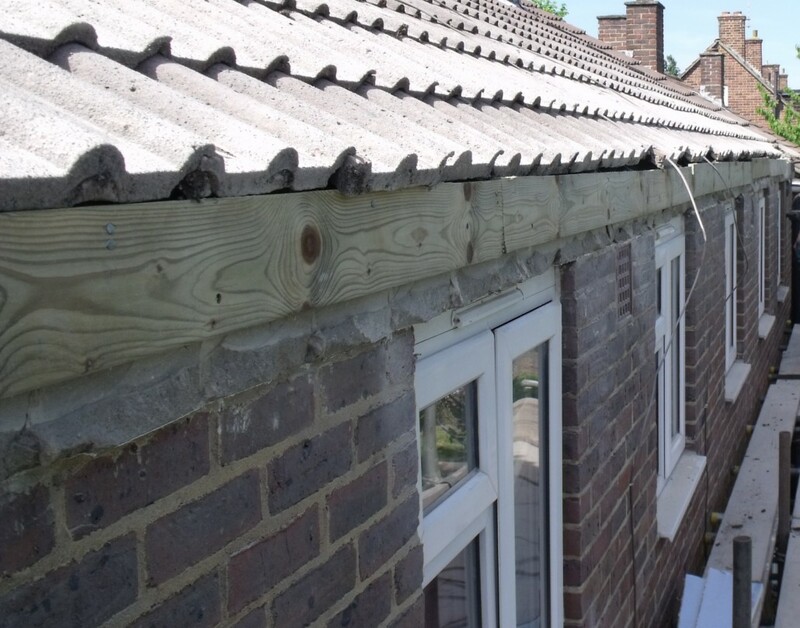 A further timber fascia backing board is installed on top of the polystyrene insulation to provide the UPVC roofline products with a final solid base. 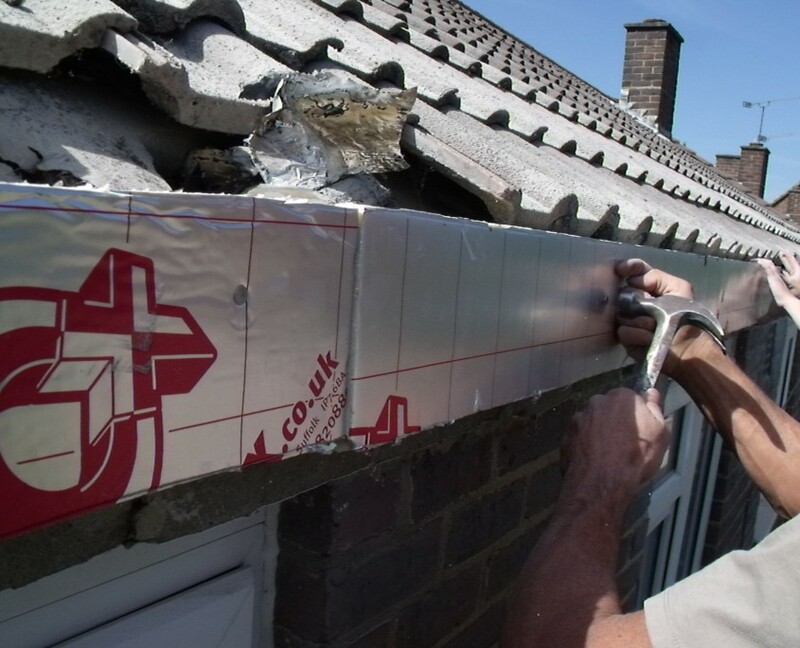 This also improves the thermal efficiency of the thermal bridge described above. 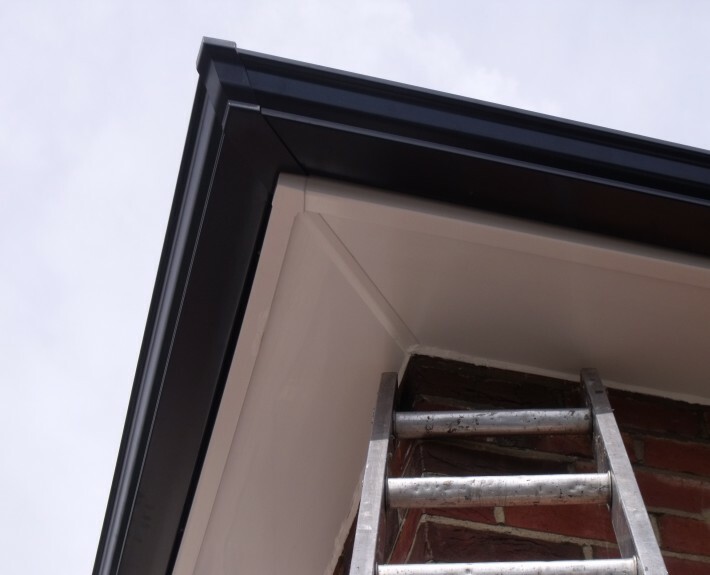 A 9mm UPVC soffit board is fixed to the undersides of both the wall plate & fascia backing board. This provides an attractive maintenance-free finish and protects the insulation and timber. 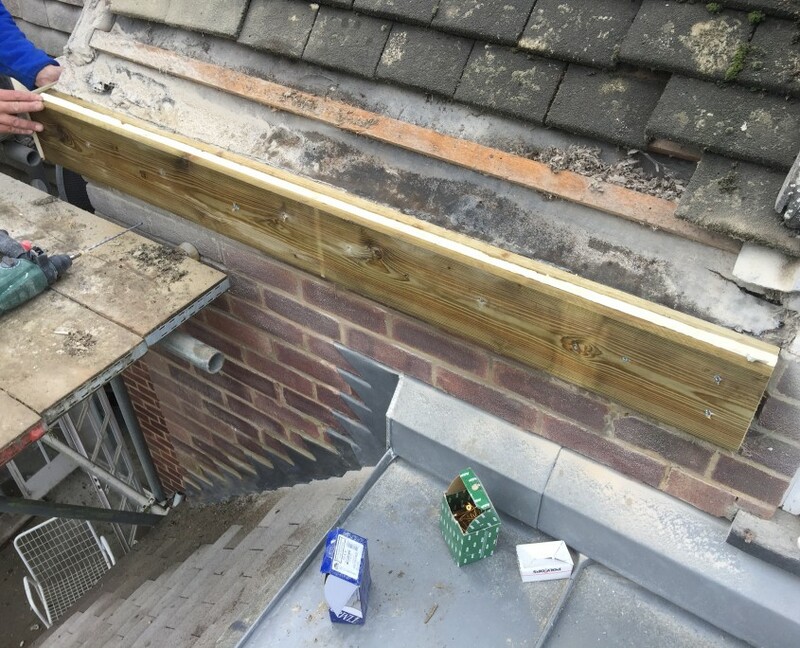 A 9 mm UPVC fascia board is fixed through into the timber backing board. 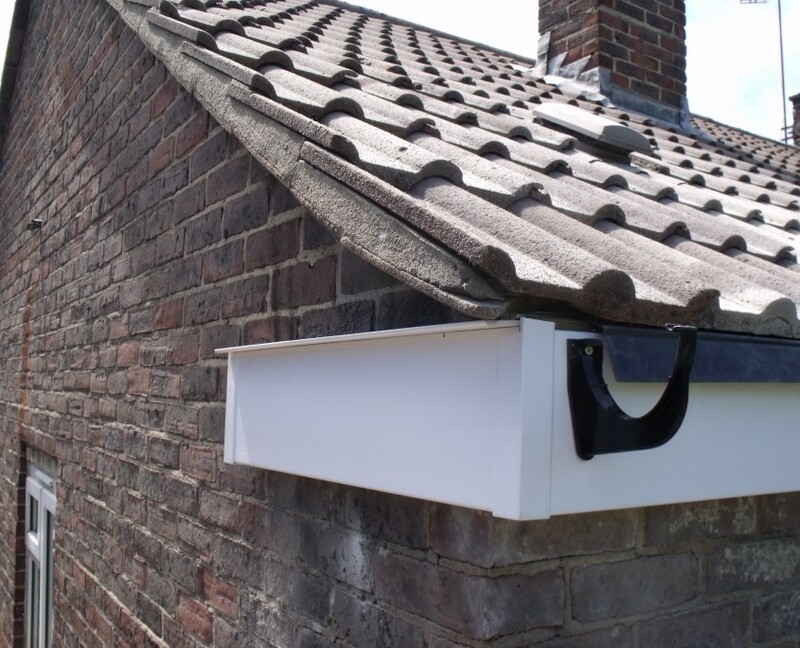 This also provides an attractive maintenance-free finish and protects the insulation and timber. 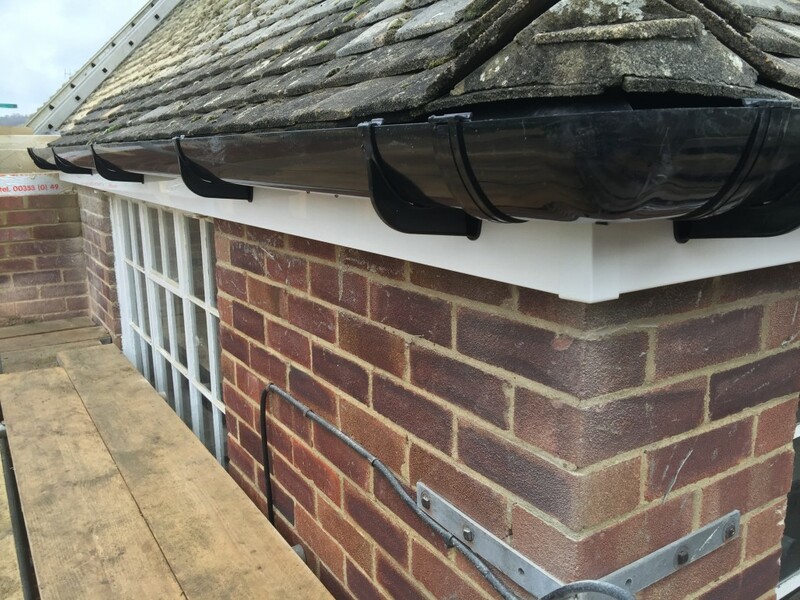 PVC fascia trays are now installed to protect the newly installed timber and insulation and to guide rainwater into the gutters without splashing or dripping. 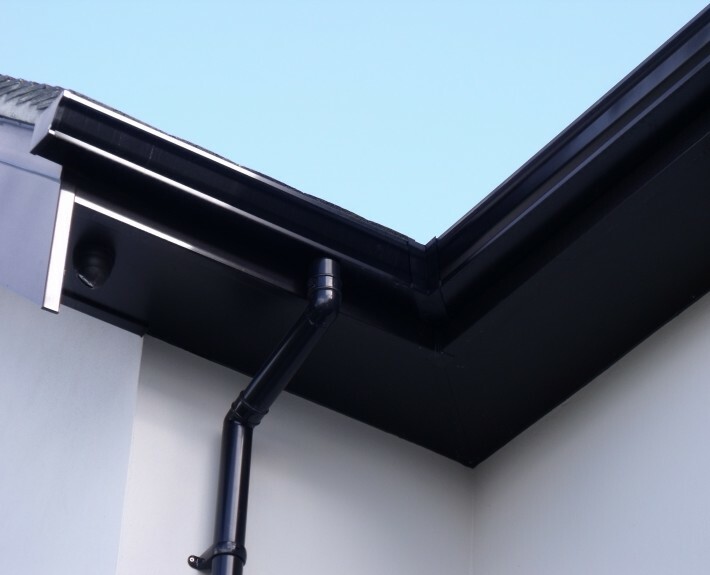 We now install either PVC or seamless aluminium gutters and down pipes. 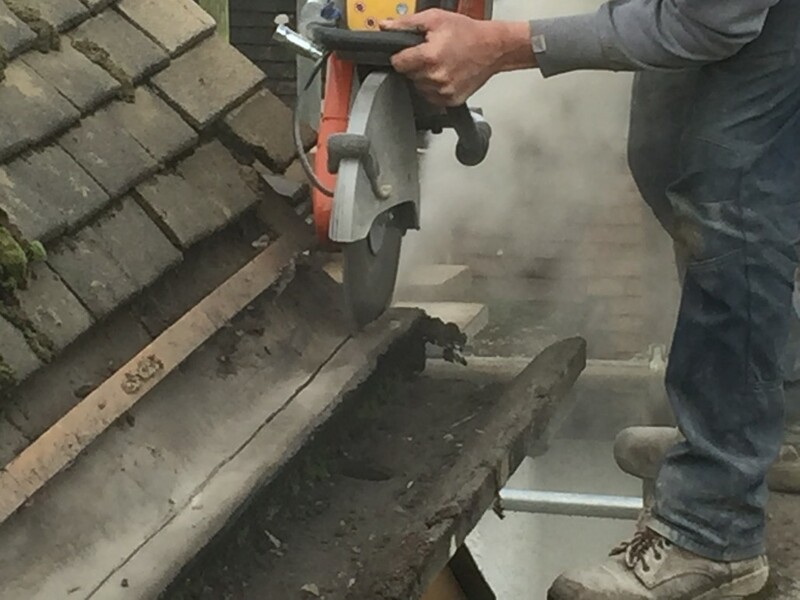 Finally, we refit your roof tiles and re-point as necessary, clean down and remove all debris from site.